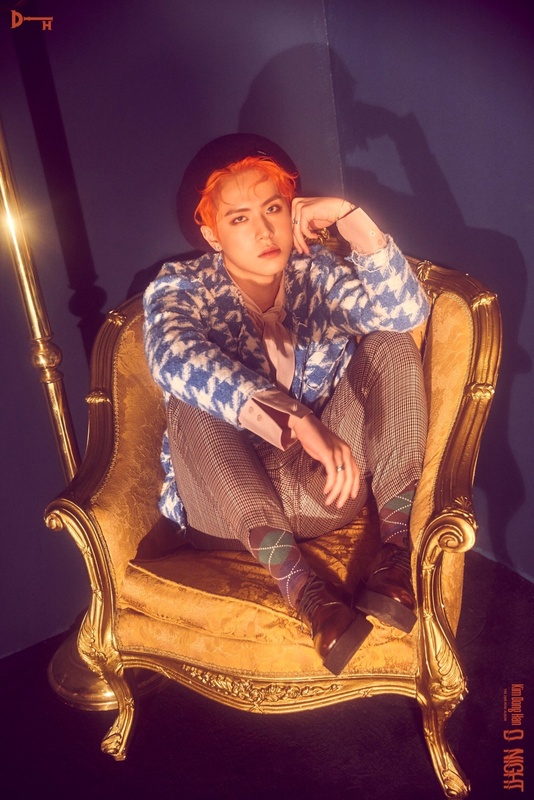 Kim Donghan (김동한) is a solo artist under OUI Entertainment. He was a member of the project group JBJ. He debuted on June 19th, 2018. – He has an older brother named Donggeun. – His Chinese Zodiac is a Tiger. 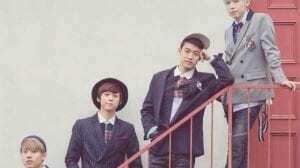 – His hobbies include watching movies, performances, and dramas. – His specialties are aikido (Japanese martial arts), hapkido (Korean martial arts), and cover dances. – Donghan was apart of a dance group called DOB. 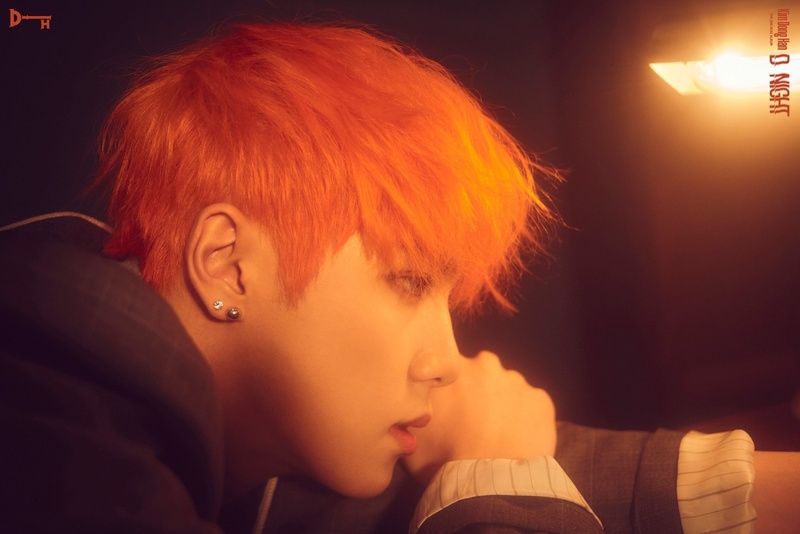 – His hair was accidentally set on fire during the filming of JBJ’s music video for “Fantasy”. – Donghan was also a part of a dance team called “The Face” before joining DOB. 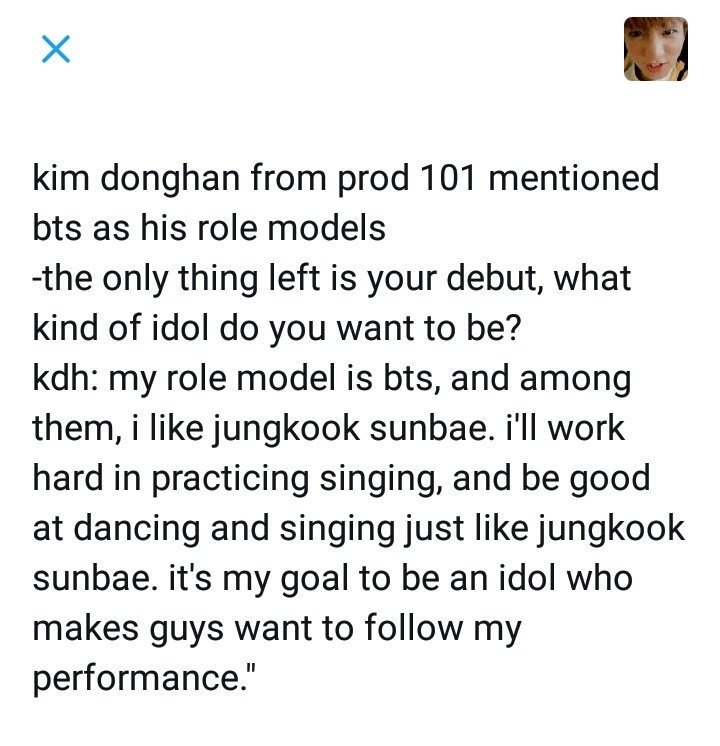 – Donghan is a huge BTS fan. – His favorite BTS member is Jungkook (he is also one of his main role models). – He is friends with GOLDEN CHILD‘s Jibeom and with ONEUS‘ Keonhee, Seoho and Hwanwoong. 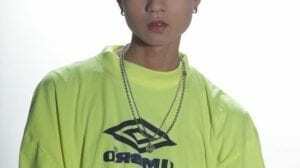 – He trained for 1 year and 6 months before joining Produce 101 Season 2. 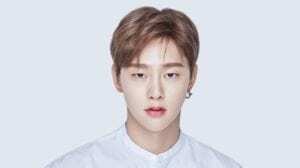 – He was eliminated episode 10, rank 29 on Produce 101 Season 2. – Donghan said he doesn’t like beans. – Donghan often watches variety shows (Weekly Idol w/ JBJ). – Fans think he looks like the character Moomin. 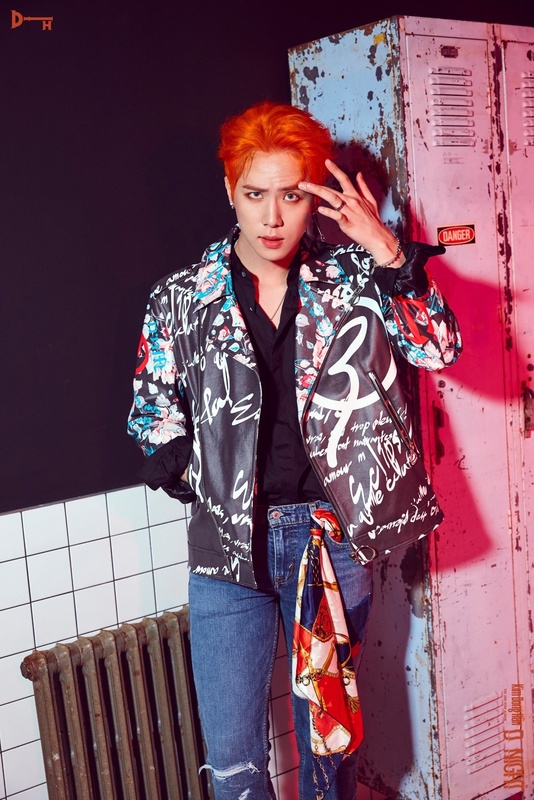 – Donghan hates being disturbed while eating.- – Kim Dong Han recently sat down for a tipsy interview and talked about how he gave advice to the “Produce 48” trainees as a former “Produce 101 Season 2” contestant. 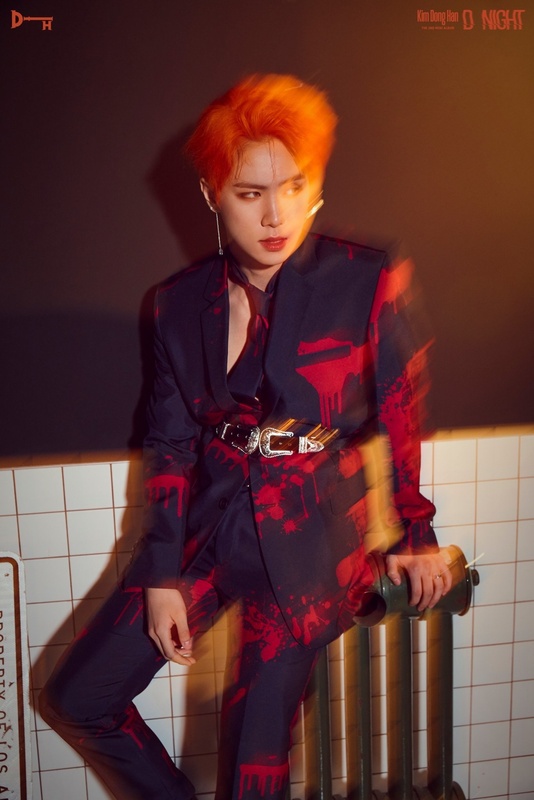 Do you like Kim Donghan? 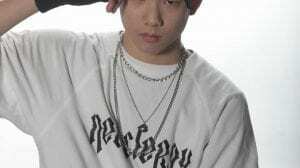 Kim Dong Han recently sat down for a tipsy interview and talked about how he gave advice to the “Produce 48” trainees as a former “Produce 101 Season 2” contestant. I know that Donghan’s choreography was arranged by himself, but I can’t find any informations about making music and lyrics. Does anyone know if he did it? 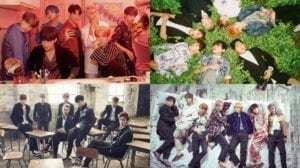 Or everything was by Kakao M? 33 votes on “He’s overrated” ?!?! What kind of idiotic brats picked that?!?! To whomever picked that…. THINK ABOUT IT AGAIN. He is not overrated at all. And if someone thinks that, why tf did they click on it? Or are those 33 people just blind or something and can’t see what they are picking because that better be it. Because ~ again ~ he isn’t overrated. He said on his broadcast as he debuted, that he grew 1cm, so he’s now 182cm, he also said he gained weight and is now 68kg. Thank you so much! I will creditr you in the profile!